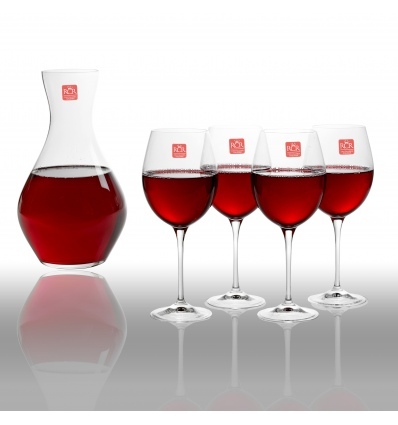 From the famous Italian Crystal Tableware makers RCR comes this stunning Carafe & Wine Glasses set from their Toscana Collection. The Toscana Collection is RCR's top-of-the-line collection and represents elegance, fine design and contemporary classic luxury. All of the collections products, are made of hig quality Luxion Crystal Glass testifying to the passion for detail and taste for beauty that are the hallmarks of Tuscan artistic culture. This quality glassware set will grace your table and enhance your dining experiance for years to come and is practical and functional in a modern yet timeless style. The set will arrive in three matching Gift Boxes, and would make a precious home or wedding gift.